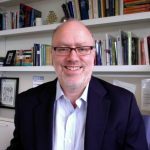 Robert Gibbs recently completed a 10-year term as Inaugural Director of the Jackman Humanities Institute. He is a Professor of Philosophy and of Religion. His current research focuses on Higher Education, and he has recently completed a book length manuscript, The University in Question: Ideas in Dialogue. In it he inquires what a Research University is for and explores different models of universities by refocusing on the research capacities of students. His previous research is located on the borderlines of philosophy and religion, with a comparative and historical focus on law and ethics. He has worked on ethics in relation to the modern Jewish philosophical tradition and has numerous publications in this and in related fields in continental philosophy. Why Ethics? Signs of Responsibilities, (Princeton: Princeton University Press) 2000. 400 pp. Reasoning After Revelation: Postmodern Jewish Philosophy, co-authored with Steven Kepnes and Peter Ochs. (Boulder, Co.: Westview Press) 1998. 161pp. Correlations in Rosenzweig and Levinas, (Princeton: Princeton University Press), 1992 (Paperback, 1994) 281 pp. Suffering Religion, co-edited with Elliot R. Wolfson, London: Routledge, 2002. “Grammar of the Laws” in The Weimar Moment: Liberalism, Political Theology and Law, ed. Leonard Kaplan Rudy Koshar, Lanham, MA: Lexington Books, 2012, 371-392. “The Name of God in Levinas’ Philosophy” Saintly Influence: Edith Wyschogrod and the Possibilities of Philosophy of Religion, ed. Eric Boynton and Martin Kafka, Fordham University Press, 2010, 97-112. “Eternity in History: Rolling the Scroll” Liturgy, Time and the Politics of Redemption, ed. R. Rashkover and C. Pecknold, Eerdmans, 2006, 127-140. “Jurisprudence is the Organon of Ethics: Kant and Cohen on Ethics, Law, and Religion” Hermann Cohen’s Critical Idealism, ed. Reinier Munk, Springer, 2005, 193-230. “Messianic Epistemology: Thesis XV” Walter Benjamin and History, ed. Andrew Benjamin, Continuum Press, 2005, 197-214. “Hermann Cohen’s Messianism: The History of the Future” ‘Religion of Reason out of the Sources of Judaism’ Tradition and the Concept of Origin in Hermann Cohen’s Later Work, ed. Helmut Holzhey, Gabriel Motzkin, and Hartwig Wiedebach, Hildesheim: Olms, 2000, 331-349. “Jewish Dimensions of Radical Ethics” Ethics as First Philosophy, Routledge, 1995, 13-24. “Of Time and Pages” College Literature: A Journal of Critical Literary Studies 42.2 (Spring 2015) 239-277. “Verdict and Sentence: Cover and Levinas on the Robe of Justice” in Journal of Jewish Thought and Philosophy, Vol. 14, No. 1-2 (2006) . 73-90. “Law and Ethics” in Revista Portguesa de Filosofia Vol.26, No. 2-4 (April-Dec 2006), 395-407. “Seeing the Unique God: Humor and the Sublime in Jewish Aesthetics,” Archivio Di Filosofia, Vol LXXI, N. 1-3 (2003), 219-32.